Over 8 million homes in the United States use James Hardie products, and for good reason. The durability, efficiency, and attractiveness of their products are unrivaled, and their products have received numerous industry awards in many different categories. 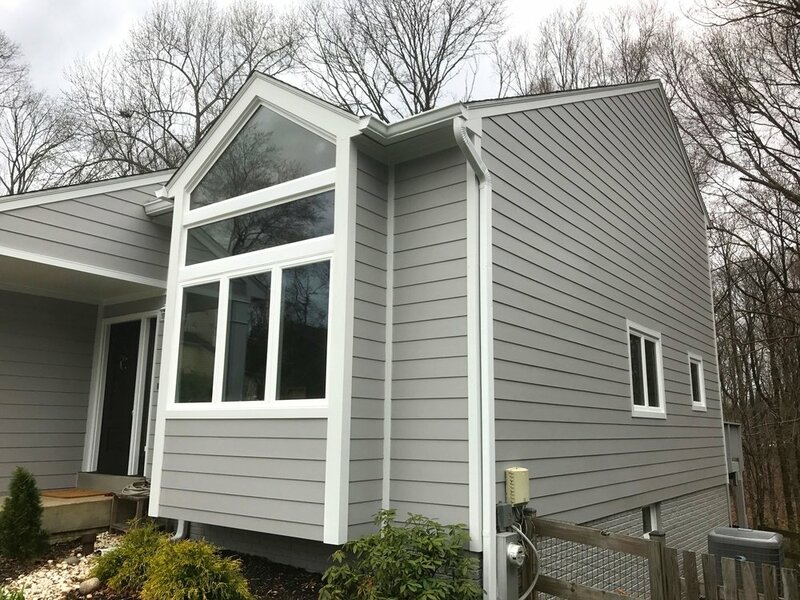 James Hardie invented Fiber Cement siding, and they engineered it to be more weather, pest, and fire resistant than other type of siding while simultaneously keeping its color for longer. James Hardie Fiber Cement siding was not only engineered for appearance, but also durability. Fiber Cement siding outperforms its competitors in moisture resistance, temperature expansion and contraction, fire protection, pest resilience, and extreme weather. So when you get Fiber Cement siding installed on your home, you can rest easy knowing that your home is protected from everything nature throws at it. James Hardie’s exclusive ColorPlus® technology can elevate your home’s exterior, and give your house a gorgeous color that will last for years to come. ColorPlus® siding is coated with more layers than an average painter would apply, and is specially cured to resist chipping, peeling, cracking, and UV rays. Fiber Cement siding closely resembles wood siding while being significantly cheaper in both the short and long term. Between James Hardie’s superior performance and ColorPlus® technology, your mileage per dollar will go further than any traditional alternative. Also, all James Hardie siding products come with a 30-year, non-prorated warranty, and trim products come with a 15-year non-prorated warranty.